The benefits of massage therapy for a client are extensive. Not only does the client benefit from a purely physical perspective, but the psychological and spiritual advantages are numerous. The concept of true health resulting from a correct equilibrium or balancing of this physical and spiritual energy has long been recognised by many cultures over a period of thousands of years, and is well documented in Egyptian and Roman civilization. With the advent of the Western mechanical medical model, the most important element in the healing process, touch, has played an insignificant role in the world of synthesised chemical technology. Yet it is through this touch that many of today’s health problems can be treated, allowing for the body’s own natural forces of healing to occur. Massage works on two levels, the physical manipulation of soft body tissue and the positive healing energy that is exuded during this manipulation. The combination and correct application of these processes is what makes the treatment effective as a whole. Sara Thomas in her book, “Massage for common ailments”, describes the importance of this procedure. This energy, which is so invisible to the eye, yet very real to the senses, has had to undergo many scientific experiments to prove its validity to the sceptical, practical community. Today, it is an accepted fact that the human body does possess an energy field and this energy can be manipulated to change the physiology of the body. Robert Tisserand in his book, “The Art of Aromatherapy” also acknowledges these factors as integral to the successful healing of the body. With further research it can be found just how important this energy is to the process of massage. This energy known as “Chi”or “Ki” in Asian cultures, is what flows through the body. Blood and circulation are key physiological factors in the successful healing of the human body, and this “chi” energy runs through the body unhindered if one is well. Blood and lymph follow “Chi” through the body, therefore blockages in the energy are blockages in the healthy circulatory functioning of the body. Massage therapy can unblock these barriers therefore freeing the healing energy. “….. in the weeks to come I was astounded by the number of medical reports or first person reports that told either of an amelioration of symptoms or an actual disappearance of symptoms. Part of my surprise was based on the complicated nature of the medical diagnosis of the healees in the sample. These diagnoses covered all known systems of the body, Pancreatitis, brain tumour, emphysemea, multiple endocrine disorders, rheumatoid arthritis, and congestive heart disease were but a few. There was nothing in either my previous education or experience by which I could rationalise the results. I went back to my behavioural profiles and interactional sketches and re-examined them. After considerable analysis, I realised that the only thing that importantly intervened between Estebany (massage therapist), and the healees ,was touch by the laying on of hands, and I decided to do postdoctoral research on this healing process. Bernard Grad is an associate professor in the department of Psychiatry at McGill University in Montreal and a research scientist in the Gerontological Unit of the Allan Memorial Institute of Psychiatry. In a paper titled “Laboratory Evidence of the Laying on of hands”, published in the book “Frontiers of Healing”, he discusses his experiments on how energy from a healer can be transferred to an organism. His results are numerous and detailed, and as can be seen in his summing up of the findings, quite enlightening. These are just some of the many scientifically trained professionals who have individually collated information by standard scientific method to come to the same conclusion; that the human energy field plays an integral part in the healing of the unwell body, whether it be physical or psychological. The psychological benefits of massage are well documented. The obvious being the fact that the client is allowing tension and stress to be released from their body as the muscles themselves are relaxed. The slow movement of caring hands on a body provides a feeling of support, protection and comfort to the client’s psyche and stimulates the nervous system to produce chemicals which add to this sedentary state. In many cases the touch therapy can bring back psychological trauma that may have been hidden within the personality and has been a cause of long term illness. By bringing these issues to the surface the problem can be recognised and the appropriate treatment administered through a professional. In this way massage can be invaluable in the treatment of deep seated psychological problems. In the case of sexual abuse or any kind of physical abuse, the mind is closely linked with the physical receptors of the body, and the massage therapist can work in conjunction with the trained mental professional in overcoming the trauma associated with touch. This kind of psychological response to massage all works to calm and heal the client, but massage can be used to stimulate and activate certain psychological centres to provide a high level of activity and excitement. This is particularly useful in the area of Sports massage where pre event “conditioning” can be of untold value in creating an aggressive, competitive psychological state in the client. It is often this extra mental conditioning that gives the athlete the edge on his competitors. Terminally ill or medically isolated individuals can gain psychologically from being touched. In hospital situations, it is often the case that the only time the person is touched is to administer medication or mechanically move them. A scenario develops in which the individual will begin to associate touch with pain, and massage can be helpful by allowing them to feel the pleasurable effects of touch which they may have forgotten. This type of physical touch more than any other, affects the psychological state of the client and provides them with beneficial energy. The benefits of massage have always been automatically associated with the physiological aspect of the body and justifiably so, for the mechanical effects of a massage are numerous depending on the style, stroke and method that is used. 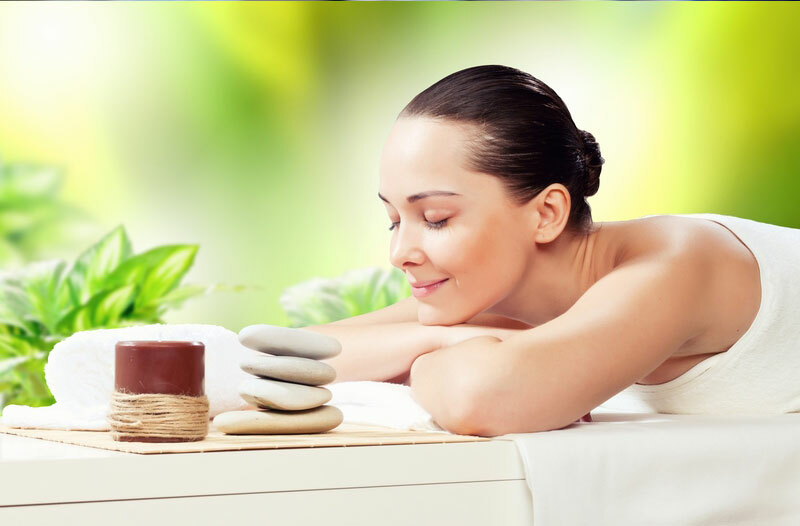 Massage also has effects on other body systems apart from the obvious muscular, in fact massage affects the Integumentary, Digestive, Reproductive, Endocrine, Cardiovascular, Lymphatic and Nervous systems. It does this by the manipulation of soft body tissue as well as the chemical reactions of the essential oils that are used during massage. On the muscular system massage helps to improve blood circulation, bringing nutrients to the muscle cell fibres and removing wastes. By doing this before strenuous activity the muscles can be “prepared” for the increased activity ahead. During this activity, if there are normal aerobic conditions, the pyruvic acid that is produced during muscle activity doesn’t affect the muscles, but if there is not enough oxygen the anaerobic process converts the pyruvic acid to lactic acid. Lactic acid is the source of muscular pain and irritation after activity. Massage also relieves muscle spasm by kneading and stretching contracted muscles which produces an inhibitory response from the Golgi tendon organs and muscles spindles which gives relief from this spasm. By inhibiting messages to the Central nervous system massage can relax the muscle fibres. Deep tissue frictions in massage can also break up scar tissue and adhesions, allowing the body to heal itself. The reduction of muscle atrophy due to paralysis of limbs or strokes has been well proven as one of massage’s benefits. Research has shown that deep stroking and kneading increases the circulation to the limbs affected by paralysis. Published article by Y.Ruckebusch and H.M. Gattefosse (1964) in which they discuss the “phagocytic” power of essential oils. The fact that massage combined with essential oils can increase one’s resistance to infection is invaluable in itself for it stimulates the body’s own immune system to function at a higher capacity. How much healthier must this be for our bodies than pumping them with artificially produced antibiotics? In fact, if this regime of essential oil and massage were to be adopted by more individuals they would have less need for any exterior antibody therapy at all. Apart from this chemical reaction on the sebaceous glands, massage improves the secretory function of these glands. Sebum is secreted which prevents hair from becoming brittle and falling out. At the risk of sounding like a television advertisement, a healthy oxygenated scalp combined with correct sebaceous secretion will give the client a head full of shiny, attractive hair. After examining the well documented and researched area of skin and the effects of massage particularly in combination with essential oils, it is clear that this area more than any other, (as a visible indicator of our internal health) benefits most noticeably from the services of a massage therapist. Clients with digestive problems can also be helped through massage. The correct application of massage strokes can relieve constipation and increase the peristaltic contractions of the body. This technique is becoming more and more popular as a drug free alternative in hospitals and nursing homes. Again this technique combined with essential oils can provide immediate relief. “Several essences have a laxative effect. Their action is relatively mild, and takes the form of strengthening peristalsis (intestinal contractions). It is not clear whether the action is nervous or direct, although it would appear that at least some of the oils act via the nervous system. These oils include camphor, cinnamon, fennel, marjoram and rosemary. They may be useful in constipation, flatulence, and lack of intestinal tone. Other oils such as Clove counteract stomach acidity by effectively raising the pH of gastric juice. Thyme oil counteracts adrenaline spasm while Melissa and Sage reduce acetylcholine spasm. Treatment can be administered by spinal massage and local compresses over the stomach or abdomen. One of the discussed benefits of massage is the relaxing effect that overcomes the client if the therapist is in tune with the needs of their subject, and no-one benefits more than some women who use massage as a post natal therapy. There are many contra-indications of massaging pregnant women, but administered correctly can aid in the stress that the body has to adjust to with additional weight. After the rigorous process of labour and the birth of a child, there are many things that can be done for the client to help return their body back to normal. Some of these again with the right combination of essential oils can limit the effects of stretch marks or healing in the case of Caesarian births. Menstrual cramping can also be helped with massage and ease the pain associated with the reproductive system. One would find little argument to rebuff the fact that there are many people in society today that have a problem with the overuse of painkillers. These are prospective clients who would gain greatly from a carefully planned program of massage therapy. Massage aids in the peak functioning of the Cardiovascular and Lymphatic systems. The various strokes stimulate venous circulation with a direct effect of blood being propelled though the veins. When there is a contraction of these blood pathways either through injury or disease such as arteriosclerosis, there is an increase in blood pressure as the heart works harder to push this blood. Aiding this return can reduce the pressure and thus blood pressure. By working on the capillaries of the body through direct pressure, there is a decrease in the accumulation of metabolic waste and the by products of damaged tissue cells. The increase in oxygen to the muscle and tissue cells through this system has benefits as previously discussed. When the body is massaged it increases the capillary surface area and allows for a faster rate of exchange between nutrient and waste. The combination of essential oil such as Hyssop causes an increase in blood pressure but then a decrease. On the lymphatic system massage can help the client by mechanically moving the lymph fluid much the same way as blood. This aids in the control of interstitial fluid hydrostatic pressure. In the case of Oedema, an excess of this interstitial fluid, massage can help alleviate the problem. With the combined use of essential oils as previously discussed, the lymphatic system takes up the properties of the oils and utilises this in its immune control. The cumulative effect of massage increases the excretion of urine, sodium chloride, and phosphorus. This all leads to healthier tissues for the client. The relaxing and sedentary effect of massage helps to maintain a normal functioning of the nervous system and provide a state of metabolic equilibrium within the body. This physical equilibrium is insignificant however if the psychological and spiritual balances are not in harmony. As a therapist the greatest reward both for yourself and your client is to be able to improve their quality of life. The body is a vessel for us to grow in and must be maintained, if we want to continue to live the life we strive for.